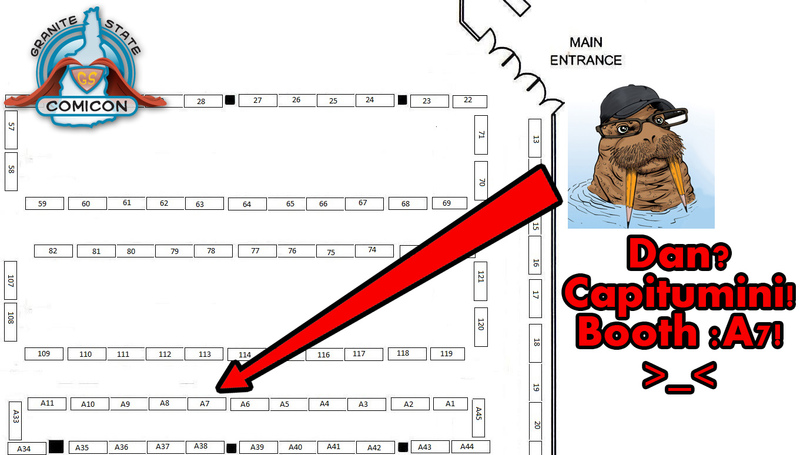 I’ll be exhibiting at Granite State Comic Con this weekend in Manchester,NH 9/13-9/14. I’ll be located at booth A7. here is a map!